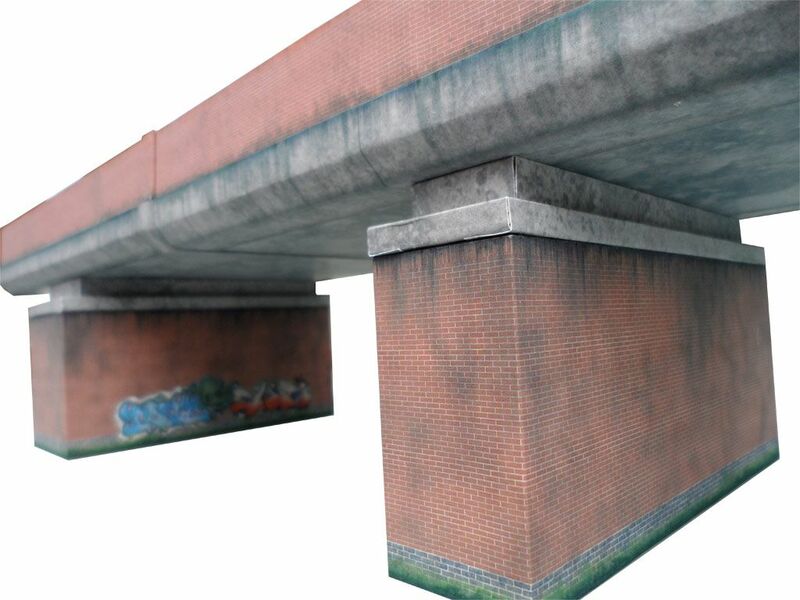 An impressive & very sturdy modern road or railway bridge for your modern image layout. 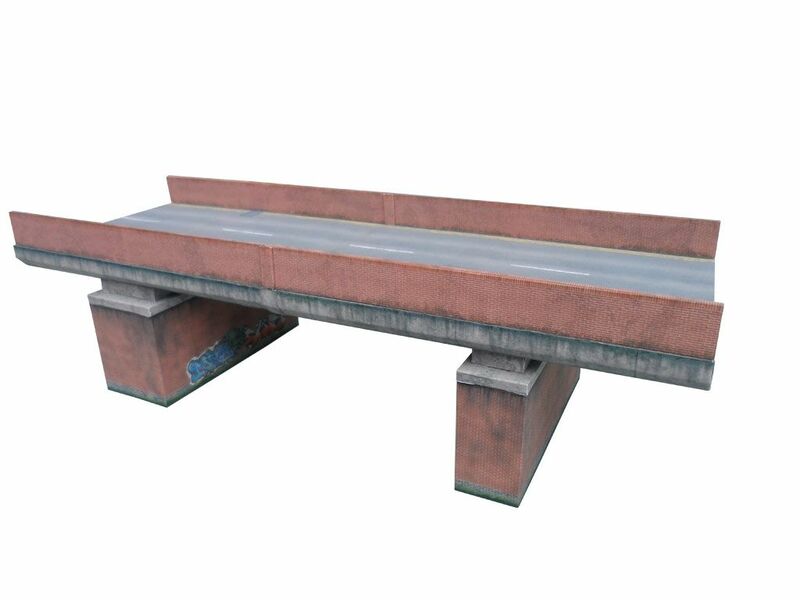 An essential piece of infrastructure for any Modern Image model railway layout. 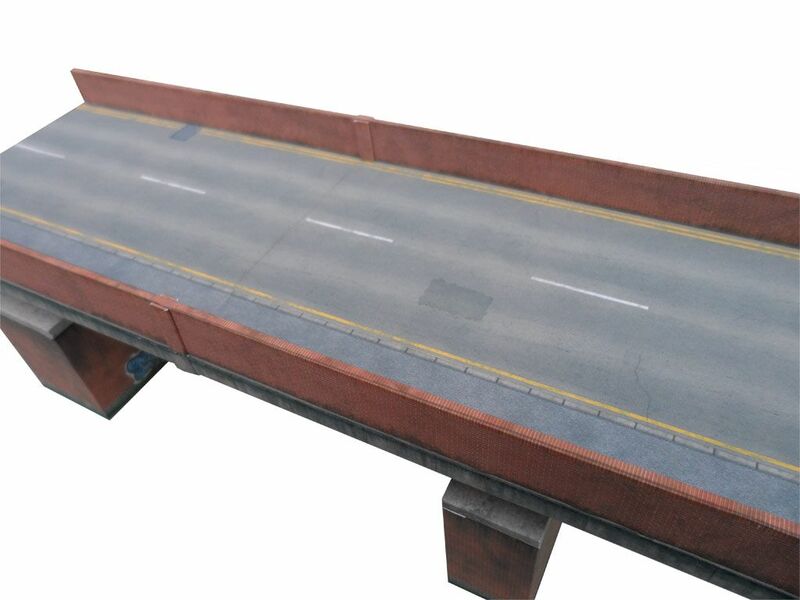 This OO scale concrete & brick bridge is perfect for use as a road or rail bridge in single or double track format on your model railway layout. 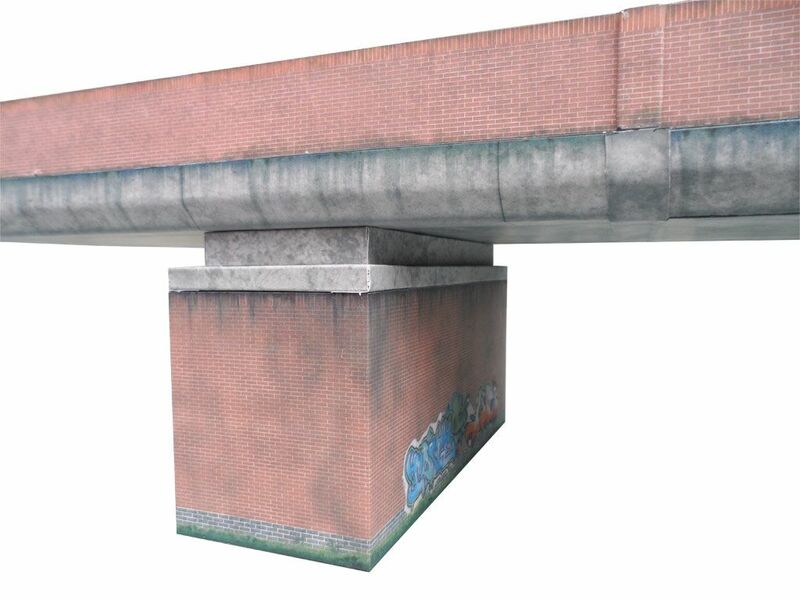 With optional graffiti on the brick piers and lots of weathering it will look right at home on your modern model railway layout or diecast diorama. This kit requires cutting out and assembling. 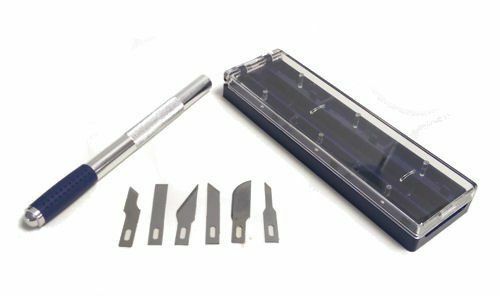 Glue, craft knife & cutting mat not included. 4 lengths of brick wall and 4 lengths of asphalt pavement. 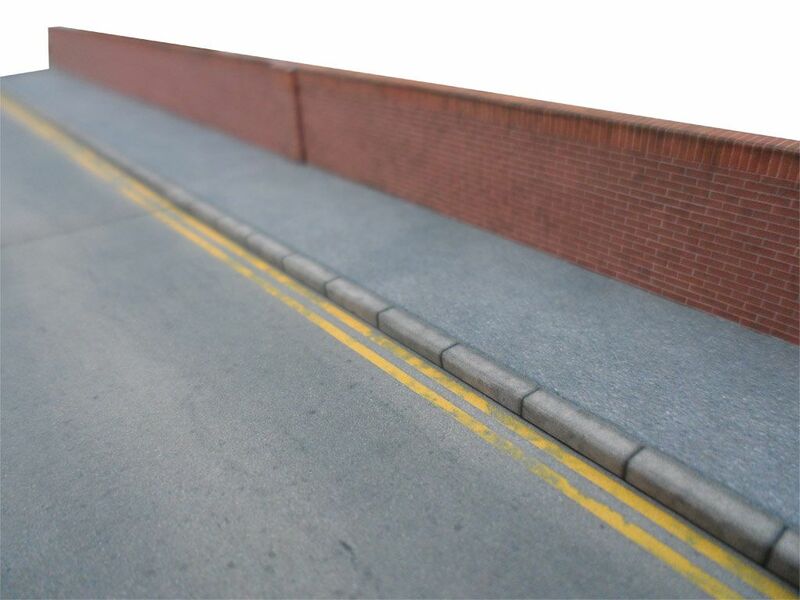 4 x 190mm lengths of very realistic road are also included in both 2 lane and one way formats. 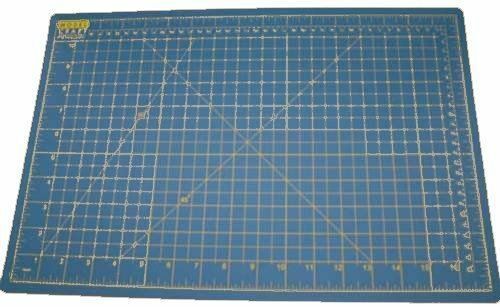 High-resolution paper texture wraps are used throughout this model to produce a very realistic model for your OO scale model railway layout or 1:76 diecast diorama, with no visible cut card edges once complete. As with all our recent releases the kit is constructed using 0.7mm or 500gsm thickness card (supplied), which is then layered to produce an exceptionally sturdy model. Texture wraps printed onto 100gsm Xerox Colorprint photo paper using a professional colour laser printer. 9 Sheets of 750 micron card are included for the main structure.